I love making jam. It is actually quite soothing for me, even in the heat of summer. I grew up canning and making food from scratch like jams, so it is just natural to me that summers are for making and canning jam. 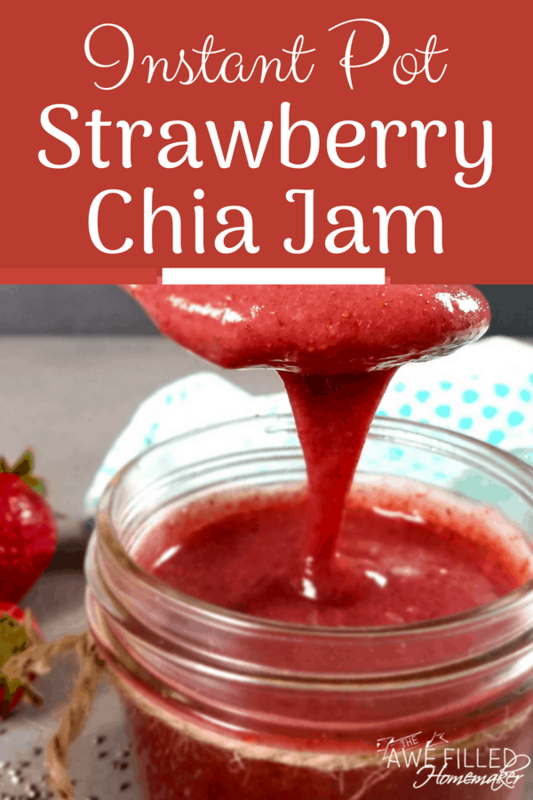 I hope you enjoy this instant pot strawberry chia jam recipe. 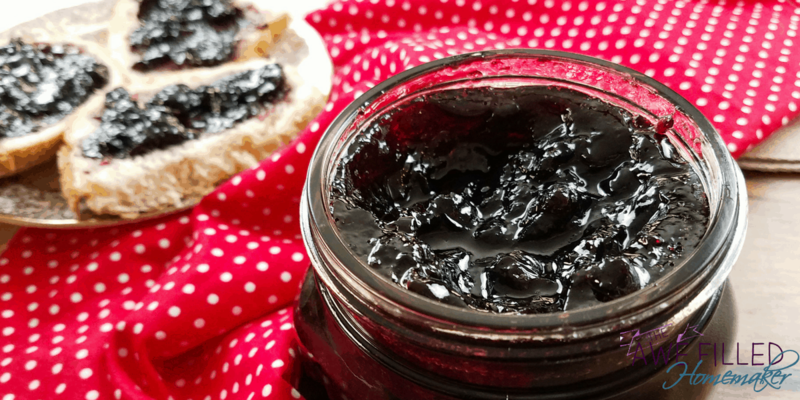 Last year I brought you the yummy goodness of my Instant Pot Blueberry Jam. 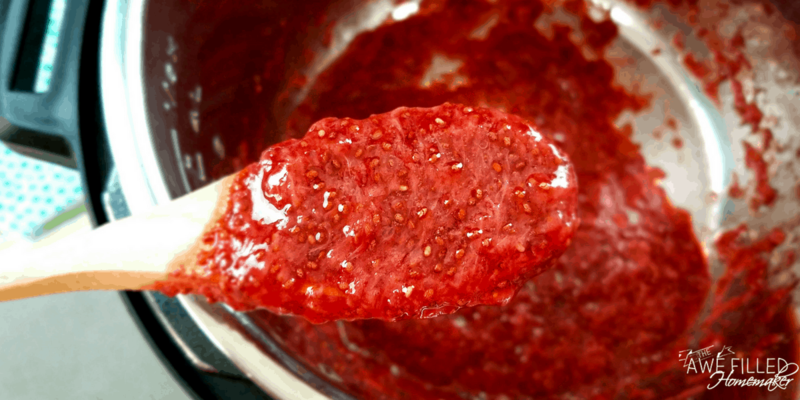 This year I have another wonderful instant pot jam to share – behold the 3-ingredient Instant Pot Strawberry Chia Jam sweetened with honey! I love this recipe because there are no preservatives or high amounts of sugar. This jam is a simple and clean-eating style of recipe. You get that sweetness that works perfectly on your toast, bagel, or even muffin. Kids love it and adults love it, too! The ease of this recipe will shock you. 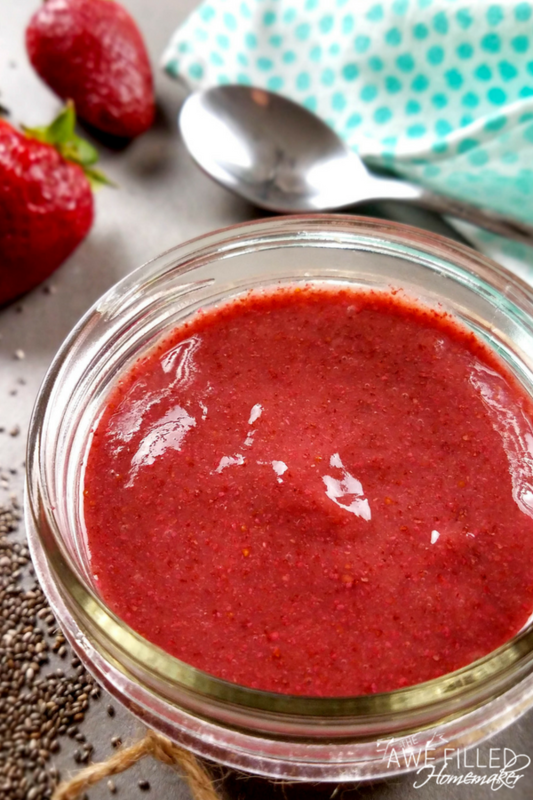 The homemade strawberry chia jam is perfectly sweet any time of day. So what is the difference in my recipe here and others? Well, most jellies and jams contains pectin. Pectin is a thickening agent that gets used often. While it is excellent for thickening, it is full of preservatives and for it to work it requires quite a bit of sugar. My goal for my family this year was to eat cleaner and we are gradually making good strides in doing so. So what to do about jam? Well, work on a recipe that makes it healthier of course! So I tested this and then grabbed a pen and paper to jot down what worked with this recipe. The outcome is a simple ingredient recipe that is healthier to use for my family and friends. Chia seeds, strawberries, and honey. 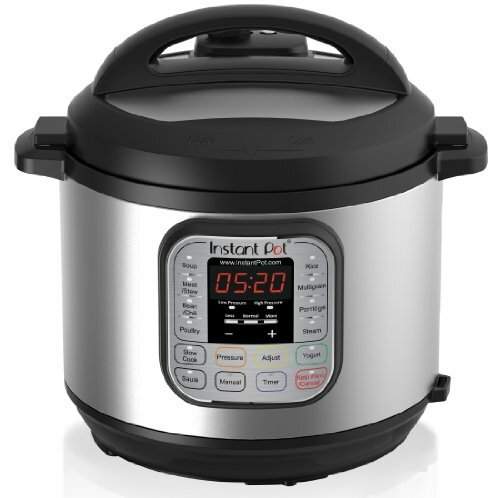 That’s all this Instant Pot jam requires. It tastes fantastic and the family loves it, which is a solid win for me. 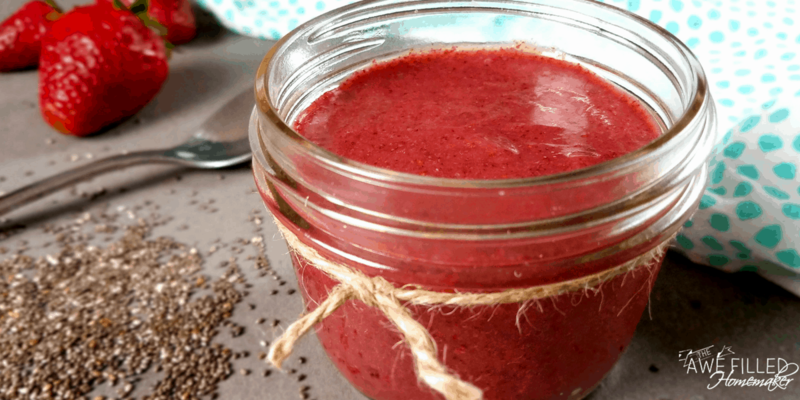 Before I get into the actual recipe, I wanted to discuss the benefits of chia seeds. 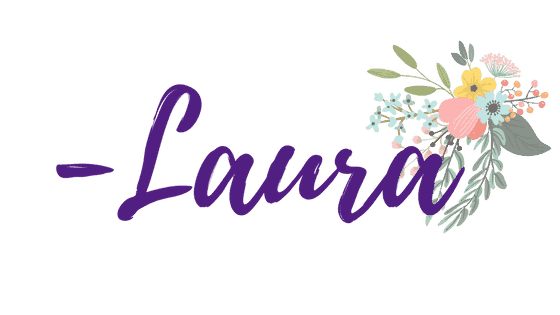 Y’all know me by now – I like to share the whys of things when they are a bit different. Part of recipe development for me is also sharing and educating. I add chia seeds where I can because they are such a fantastic source of nutrients. We don’t often get the vitamins and minerals our bodies need and that’s where chia seeds help. Chia seeds are packed with antioxidants, a source of Omega-3 fatty acid, iron, calcium and even fiber. But the benefits don’t stop there; you can find so many more amazing benefits online. There is a good-sized list as to why you might want to toss them in your jam, sprinkle over a yogurt parfait, and gain some benefits from these pure seeds. I love how easily our system digests Chai seeds, too. Give them a try! I think you will be surprised. Makes: approximately 1/2 pint but you can double or more the recipe easily. 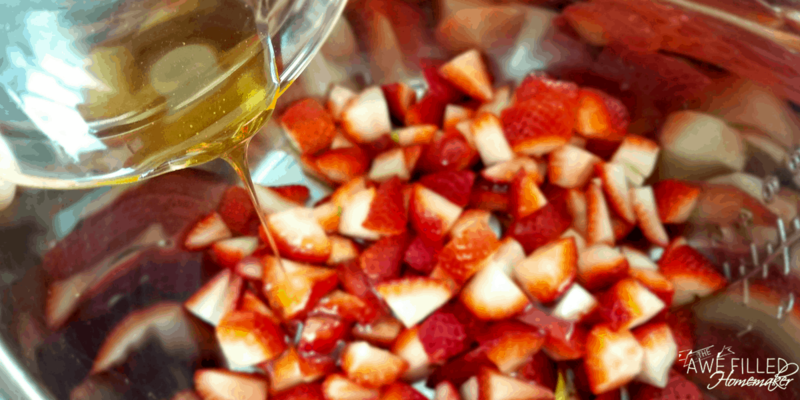 1) Add strawberries and honey to the Instant Pot insert. Close the lid and close the pressure valve. 2) Cook on high pressure for 2 minutes. Let the pressure release naturally. 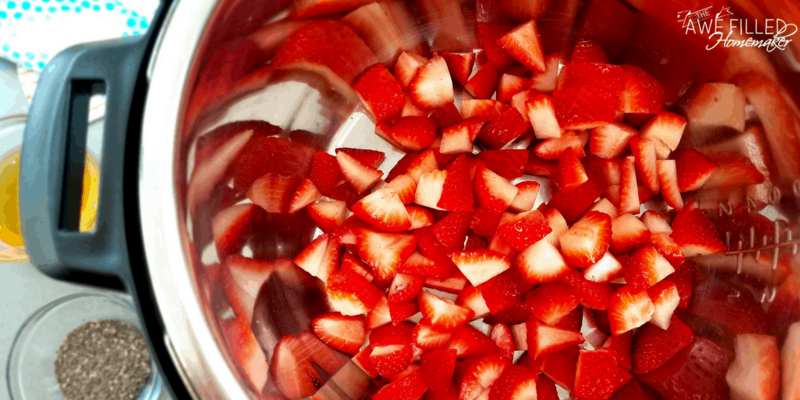 3) Remove the lid and smash the strawberries. 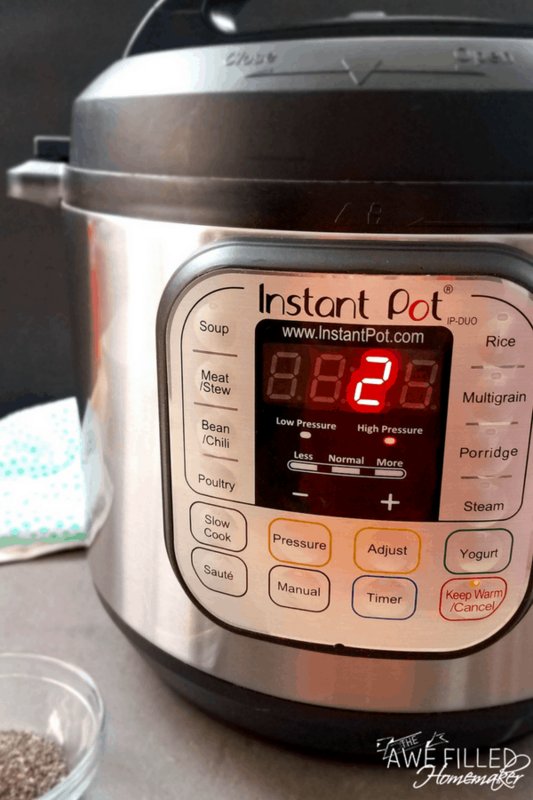 Turn the Instant Pot to sauté mode and stir in the chia seeds. Tip: You can add more chai seeds if you wish. Cook the jam stirring occasionally for about 10-15 minutes until it to your desired thickness. 4) At this point the jam is a little chunky, you can either blend it to make smoother or leave it chunky. 5) Transfer the jam to a canning jar but leave the lid off. Let the jam cool to room temperature then twist on the lid and store in the refrigerator for 2-4 weeks. 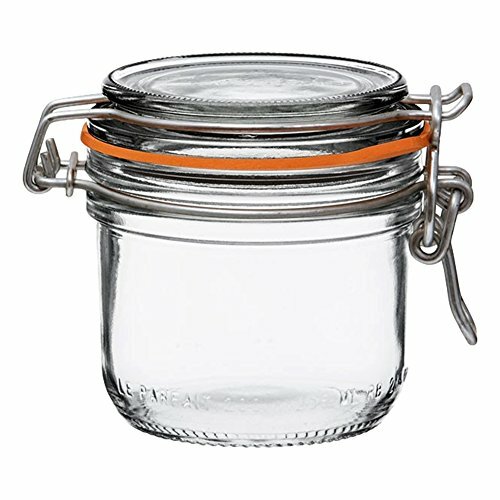 After filling clean, sterile jars with the jam you will want to place the lids on. Once that is done you will place the jars into the water bath canner. Cover the jars with water. You will then follow safe canning procedures for water bath canning. Once you remove the jars, I place on towels to cool. That’s when you will start hearing the pings. Those pings show you the jars have sealed correctly. 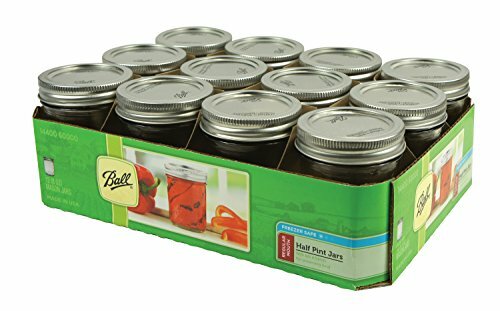 If you don’t want to can and preserve this long-term, you can use the freezer for freezer jam or just store in the fridge for 2-4 weeks as stated above. Enjoy! Don’t Forget To Print Out Your Recipe Below! This jam is a simple and clean-eating style of recipe. You get that sweetness that works perfectly on your toast, bagel, or even muffin. 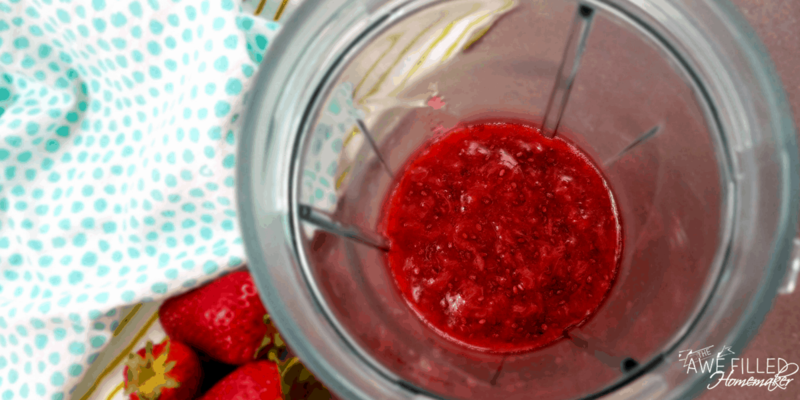 Add strawberries and honey to the Instant Pot insert. Close the lid and close the pressure valve. Cook on high pressure for 2 minutes, let the pressure release naturally. Remove the lid and smash the strawberries. 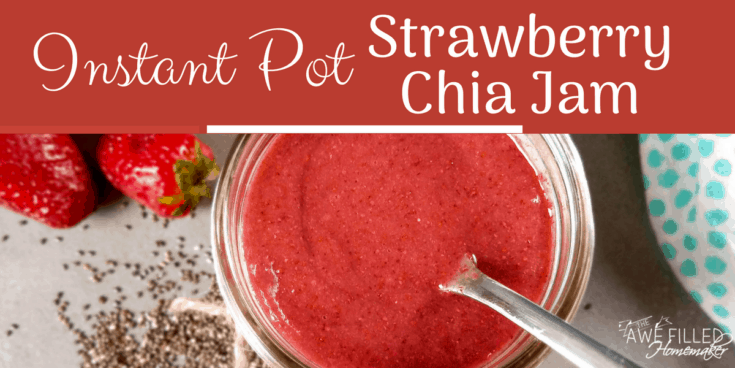 Turn the Instant Pot to sauté mode and stir in the chia seeds. 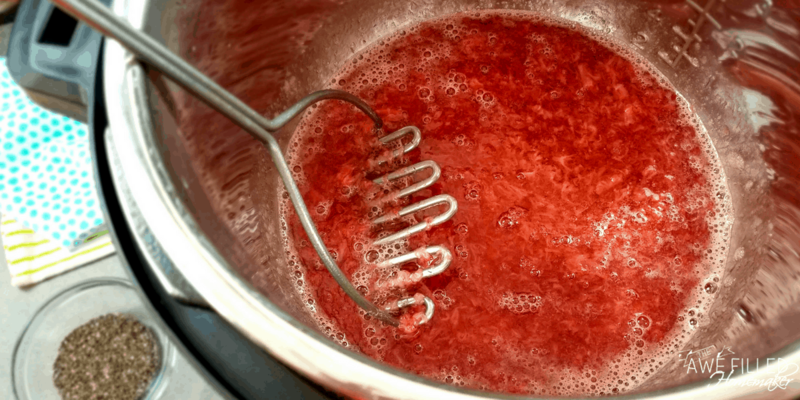 Cook the jam stirring occasionally for about 10-15 minutes until it to your desired thickness. At this point the jam is a little chunky, you can either blend it to make smoother or leave it chunky. depending on your preference. Transfer the jam to a canning jar but leave the lid off. Let the jam cool to room temperature then twist on the lid and store in the refrigerator for 2-4 weeks. 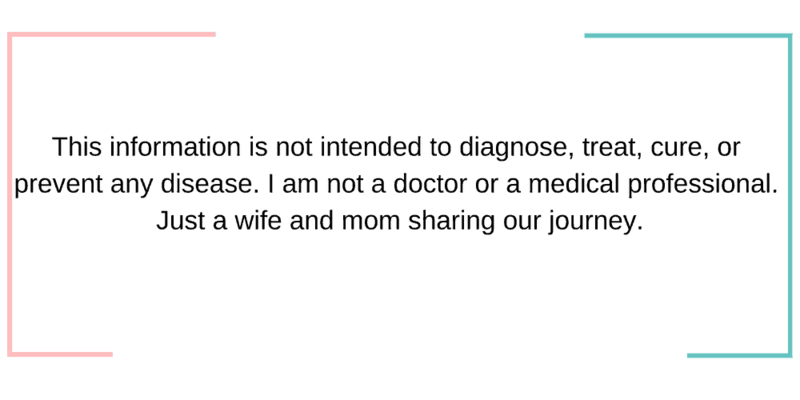 See post for even more tips and tricks too- I have been canning and making jams, jellies, and butters for years! So if you want to do bulk cooking for this recipe, just adjust the ingredients accordingly. You CAN preserve jam long term using honey with no issues. You can also add in more chai seeds if you want, you can also make this thicker if you so desire. We all have our preferences. 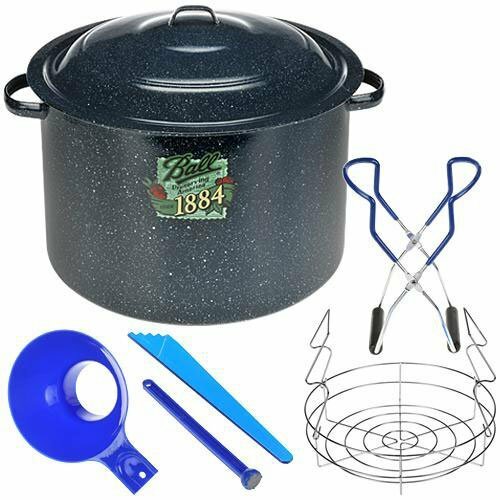 In order to can and preserve this long term you will want a water bath canner. In the post, I share details on where to get one and the type I have. After filling clean, sterile jars with the jam you will want to place the lids on. Once that is done you will place the jars into the water bath canner. Cover the jars with water. 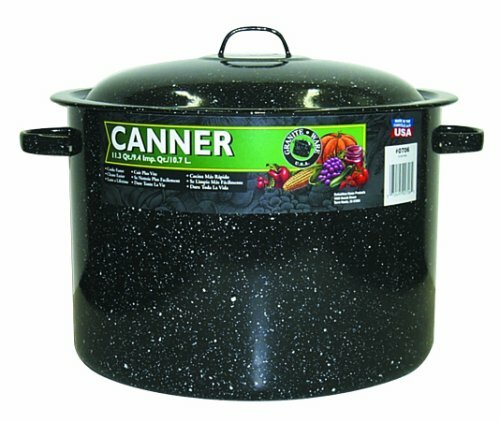 You will then follow safe canning procedures for water bath canning. Once you remove the jars, I place on towels to cool. That's when you will start hearing the pings. Those pings show you the jars have sealed correctly. If you don't want to can and preserve this long term, you can use the freezer for freezer jam or just store in the fridge for 2-4 weeks as stated above. Enjoy!